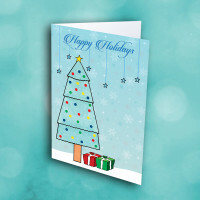 A wonderfully festive, wintry card to bring some holiday light into the lives of those around you. This beautiful holiday card is sure to capture everyone's attention. 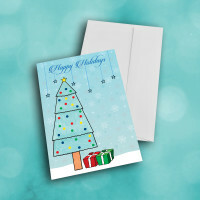 The front is intricately decorated with a pale-blue, snowflake filled backdrop; a simple, artistic tree stands in the snow. 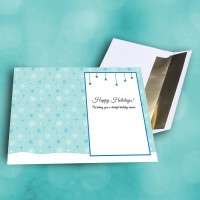 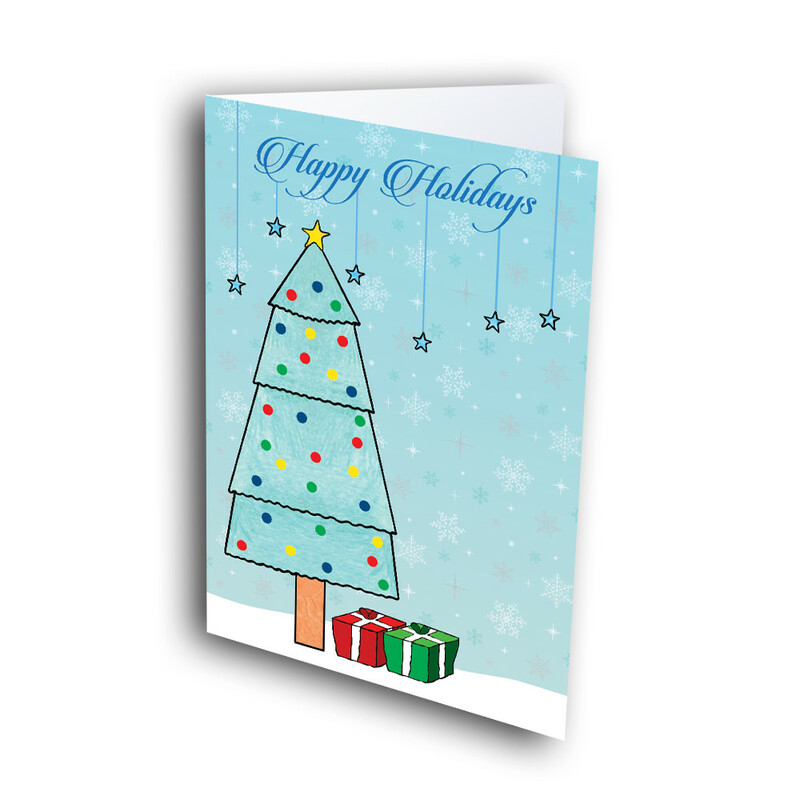 The elegant holiday greeting is penned across the top, with bright blue stars hung from it. 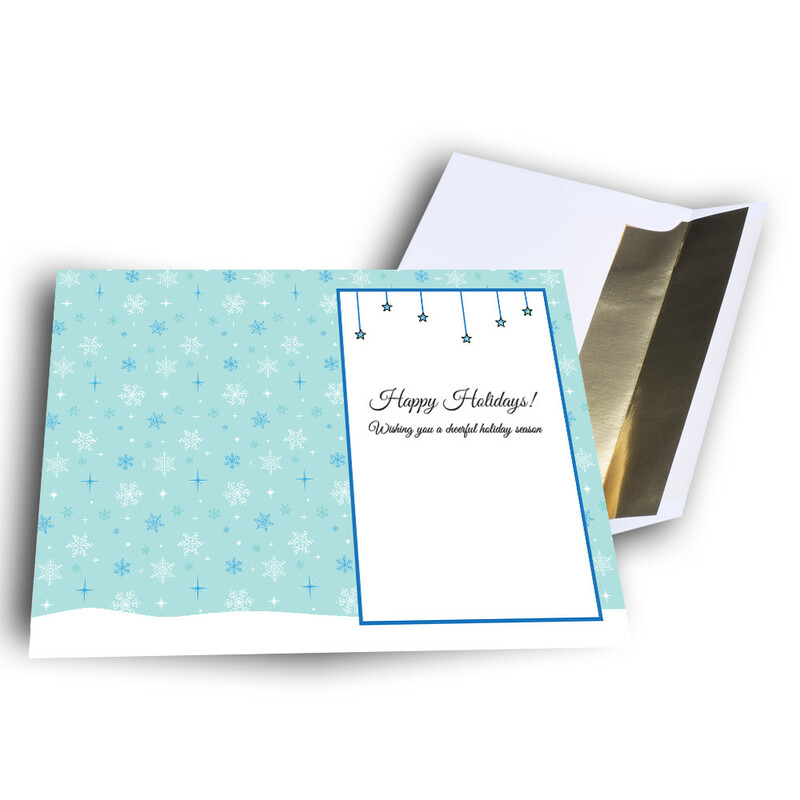 The snowy landscape carries over into the interior, where more stars are hung above the classy message. 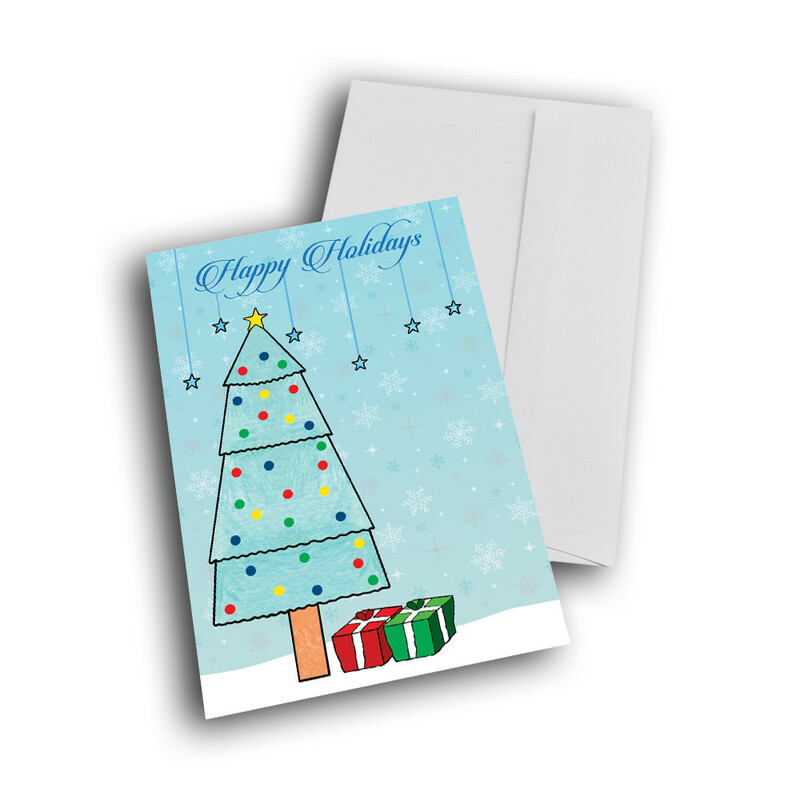 Make this a customized holiday card by adding your own personal message instead.